If you have been looking around my website, you might have found a few references to the “Kodály Method”. You’re probably wondering what I’m talking about, so I thought I’d better explain! 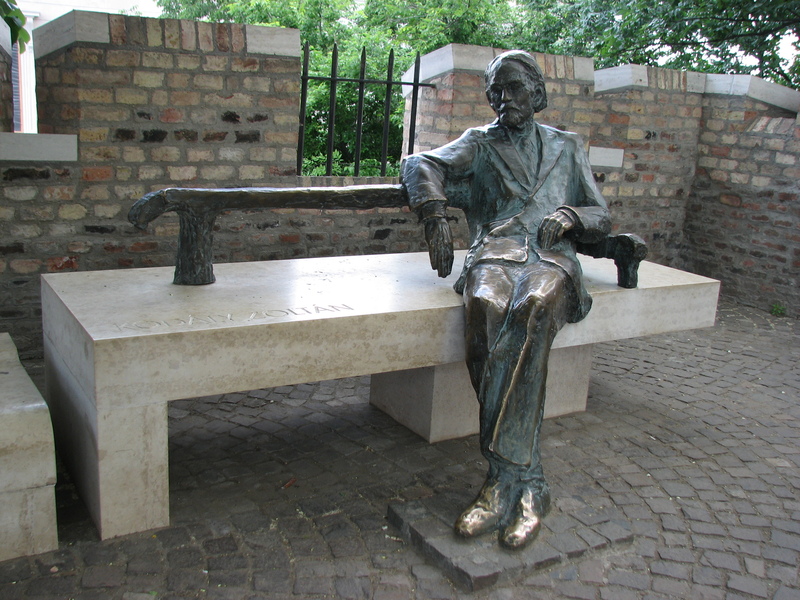 The “Kodály Method” is an approach to teaching music (particularly singing) which was developed and codified by a Hungarian Zoltán Kodály. The method itself was not novel – it drew on a range of existing techniques and ideas. However, it was Kodály who drew all the previous work together and created a systematic approach to teaching music. His ideas still dominate primary music education in Hungary today, and they are gaining increasing recognition around the world. In the UK, Kodály’s methods are promoted by the British Kodály Association. Kodály’s method and the modern teaching of it focuses on using movement and physicality, teaching the sound before the symbol, and teaching centred around child development and good teaching practice. In a typical Kodály-based lesson, there’s plenty of moving around going on. Teachers will use lots of games and songs that encourage participants to move in time with the rhythm and physically express pitch. This helps students to internalise the music – to hear it before they sing or play – which results in better performance. Kodály drew on the work of Emile-Jacques Dalcroze who had already developed a music education methodology based on physical movement. Dalcroze practices are different to Kodály method, but they share this common emphasis on using movement to engage with music. The bigest difference between Kodály’s methods and traditional Western European music teaching is his emphasis on sound before symbol. This is very similar to the Sazuki tradition from Japan, in that beginners are introduced to a song by singing it, and then they are gradually introduced to the traditional notation as a secondary concern. For example, something which comes early in traditional music lessons is learning to name notes (A, B, C etc). In Kodály method, this comes very late. Instead, Kodály uses relative pitch names to help learners understand how notes relate to each other. You may be familier with them already – do, re, mi, so, fa, la and te form the major scale. Alongside these pitch names, Kodály method also uses rhythm names to help students read out rhythm in music. A crotchet is “ta”, while a pair of quavers is “te-te“. Kodály borrowed his hand signs, which add a physical movement to changes of pitch from the American John Curwen. Curwen’s handsigns are widely used in American elementary music education separately from the Kodály method. You can see in this video an example of Twinkle, Twinkle, Little Star being sung with handsigns. Kodály identified that children learn music best when it is taught in a way which is fun and logical to the child (rather than logical to the teacher). One example of this is using the minor third, called “so-mi” as the first pattern taught. This is the classic interval children tease each other with in the playground. Do you know the song Rain, Rain, Go Away? That song is almost entirely a so-mi pattern. From here, Kodály method builds to a pentatonic scale (play all the black notes on a piano in order to hear how this sounds). Similarly, rhythm patterns tend to be introduced in a way which matches folk songs and playground calls (6/8 before 2/4, for example). Games and play are also core to the Kodály method, and activities use a variety of learning styles to make sure that everyone learns and everyone experiences the joy of music. I am quite new to teaching using Kodály principles, and I have yet to undertake any formal training. However, I have been using the Go For Bronze book produced by the National Youth Choir of Scotland for over a year with students, and I have never laughed so much in my life! I have already seen how the relative pitch approach makes so much more sense for singers, and this book develops sight-reading skills more effectively than any other book I have used (many of which take a very piano-orientated approach). I am really excited about the possibilities of working in this way to help children learn to be great musicians, and give adults the confidence to read music when they couldn’t before. This entry was posted in Uncategorized on 24th April 2014 by .